The top teams from the Southwest will be making their way towards El Paso for the Section's largest annual team tournament, the USTA Southwest Adult League Championships. taking place Aug. 3-5. 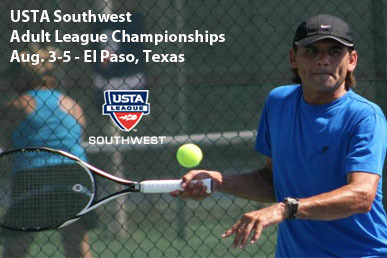 Teams from cities like Albuquerque, Las Cruces, Phoenix, Tucson, Flagstaff, and of course the host city of El Paso, Texas will be battling it out for the Southwest supremacy, and a shot at advancing on to the 2012 USTA National League Championships. Level winners in each division at this event receive the coveted automatic USTA Southwest bid into the USTA National League Championship events held throughout the fall. Adult teams who have qualified by winning their local leagues, will be competing over three days at three different playing sites in El Paso, including the Ellis Tennis Center, El Paso Tennis & Swim Club and Tennis West. 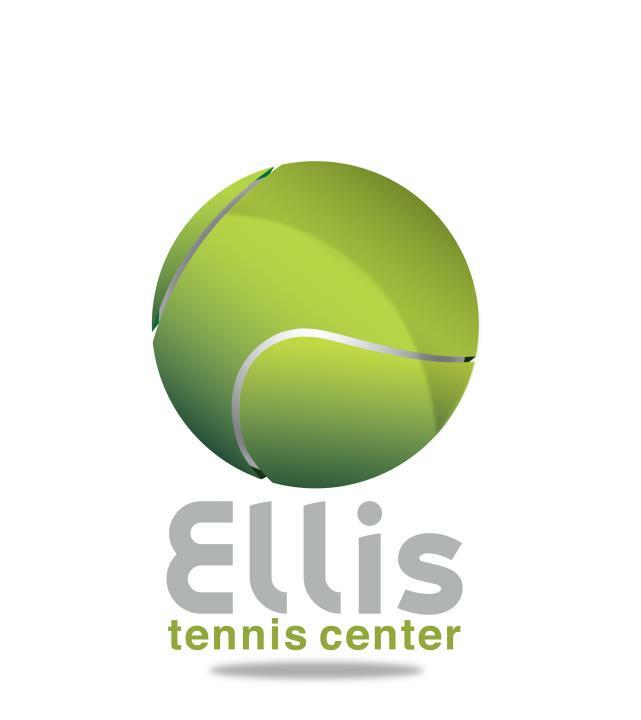 The main host site for this year’s 2012 USTA Southwest Adult League Section Championships will be the Ellis Tennis Center. Formerly the El Paso Youth Tennis Center, the 23-court facility located in Northeast El Paso has not only changed names, but been updated and renovated. The new Ellis Tennis Center has undergone quite a facelift in the last couple of months, with an improved pro shop area, 23 resurfaced courts (all to US Open blue) that includes a 10 and Under Tennis dedicated stadium court, shade structures on all courts, as well as a spacious new player lounge area. Another perk is having video cameras on all courts that should really benefit tournament directors and families, who can actually watch matches live on the multiple TV screens inside the lounge. 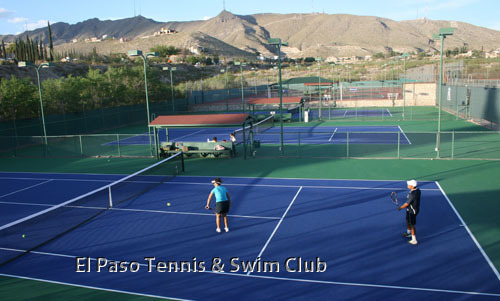 El Paso Tennis & Swim Club, the 15-court facility, is located at 2510 North Vrain Street, El Paso, TX 79902. The phone number for the center is (915) 532-4373. Click here for directions from the host hotel to the El Paso Tennis & Swim Club. Tennis West is one of the nicest private facilities in El Paso. It has 14 lighted championships tennis courts with stadium seating that allow for a great League Section Championship setting and viewing. Tennis West is located at One Tennis West Lane, El Paso, TX 79932. The phone number for the center is (915) 581-5471. Click HERE for directions from the host hotel. All three of our event playing sites have played host to major USTA Southwest events before, including past USTA Southwest League Championships, and Jr. Team Tennis Championships, as well as top-flight USTA Pro Circuit and ITF Junior events. This rate includes 24 hour airport shuttle, secured parking, discount on food and beverage at the hotel’s Magnim's Restaurant and complimentary breakfast and Wi-Fi internet service. 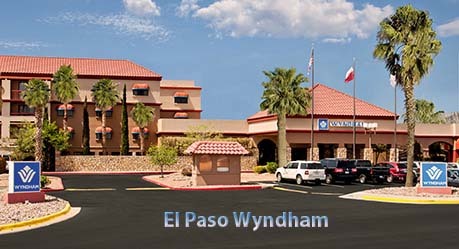 Located just off I-10, the Wyndham El Paso Airport is minutes away from Cohen Stadium, the El Paso Zoo, Viva El Paso, and the University of Texas El Paso, as well as a wide variety of additional restaurants, shopping centers, golf courses, and parks. Players should reserve directly with the hotel and identify themselves as part of the USTA Adult League Section Championships. Please call 1 (800) 742-7248 or 1 (800) 996-3426 to make reservations. RESERVATIONS MUST BE COMPLETED BY JULY 19, 2012. Restrictions and provisions may apply on reservations. The hotel is conveniently located near the tennis facilities, El Paso Airport and local attractions and just a short drive from Ellis Tennis Center. Click here for more information about the location and area. We will be having an Olympic Themed party at the Wyndham El Paso Airport Ballroom. We are all about TEAM USA going for the gold, baby and the red, white and blue! Come dressed in your favorite athlete's garb (Michael Phelps in a speedo with seven gold medals - although you might be a little cold) or come dressed supporting the colors of your country's flag. The party will be held on Saturday, August 4 from 6 pm - 9 pm, with food being served at 6:30 pm. We'll have music, a cash bar, appetitzers and prizes for our best dressed and other assorted categories, so come ready to party. For more information, click HERE.